Last few days back in Scotland, sharing my work at Scottish Government in Edinburgh and presenting a keynote at the European Academy of Design in Dundee, which this week was named The Best Place to Live in Scotland. The messages I am sharing from our journey in The Welcome Tent may not always be comfortable, but they have been proved More Than Necessary by the reaffirming conversations that I have shared in the past week. Grateful to everyone who has taken a moment to ask questions, engage in discussion or been genuinely thankful to see me speaking out about what I have seen and experienced around the UK and Europe. First time back in a UK government building for a while, but rather a lovely, if pensive, welcome from over 25 civil servants from across Scottish policy making teams. Thanks to Anna Campbell Winters for convening this group in her own time, over and above the day job. Looking forward to a follow-up contact with the National Advisory Council on Women and Girls which exists to advise the First Minister Nicola Sturgeon on what is needed to tackle gender inequality in Scotland. Then a wonderfully unexpected sunny few days in Dundee at the European Academy of Design’s bi-annual conference where I presented a keynote alongside notably the ever inspiring Ravi Naidoo. While reporting back from the monumental festival of creativity in Cape Town, another highlight for me was a project shared called Arch for Arch a physical representation of the “strength and resilient humanity” of Archbishop Desmond Tutu, celebrating his lifetime contribution. Perhaps more significant because - on the same day the 4th Annual Desmond Tutu International Peace Summit was being held in London - and it was great to share a clip of this story back to a colleague who attended. This provocative title was deliberately in the theme of the conference - ‘Running with Scissors’. The themes and insight that I was able to offer from twenty years of professional and personal experiences resonated with many in the room, notably the issues of acknowledging my white privilege and position of bias and HOW I address that in my approach to The Welcome Tent. This is such an important, important topic that I will expand on this in another article and also share some of the resources that have challenged and informed my own perspective: resources developed by and sharing perspectives of Black, Indigenous and People of Colour (BIPOC). As I summarised in my slides, this is about asking ourselves how we can Hand Over The Mic, but also be accountable and do our own (home) work to educate ourselves on issues of injustice in history and present times. Possibility of a shared paper to be developed on the complexity of these issues - notably HOW it is possible to respond, address, challenge and prevent the “white saviour complex” (see recent and ongoing controversy with Comic Relief), after superb discussion at the Botanical Gardens with Dr Ida Telalbasic, currently teaching at Loughborough University. Really excited to meet Debalina Bera from India who is currently studying at Dundee University, who I am pleased to share will be joining us as an intern this summer as Digital and Social Media Strategist. Equally exciting was learning from post-graduate Charlene Sequeira about her Compassionate Systems Design: a Framework for Sustainable Cultures. She will soon be writing an article for the humanKINDER website to introduce this and the sources from which she has developed it, before a group of us try to retro-fit this analysis framework across The Welcome Tent journey to support the development of a more robust and transferable methodology. 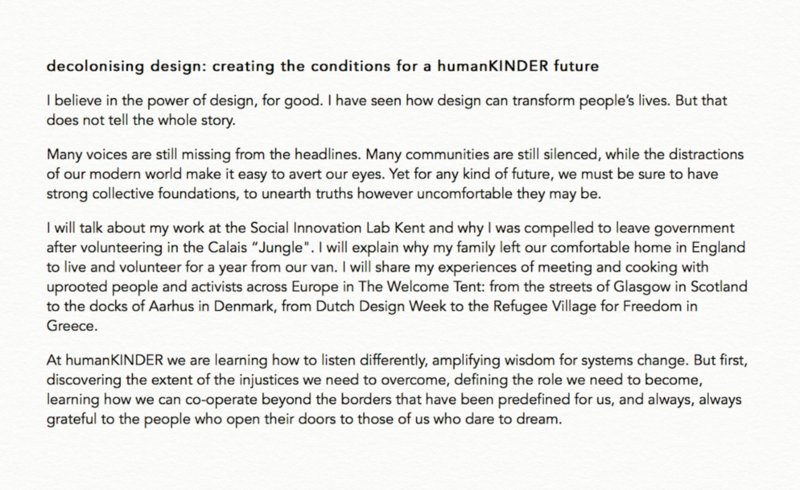 I was super pleased to be connected up with social innovation and design academics and activists from UK, Europe and beyond, which will give me an incentive to get back on my Twitter account emma_aube a bit more frequently. Great to meet Dr Joanna Boernhert amongst others, who is a good friend of Steve Bedlam, of course the founder of Refugee Community Kitchen, which brings it full circle back to Calais again. Another chat over lunch with an academic from Brazil who devastatingly confirmed the new President is as bad as many of us had feared. What worried me most is that one of the female politicians who had stood up to him had recently been found dead and no one is able to protest against the destruction of the rainforest at a faster rate than ever before. The environment and nature were - as they should be - hugely significant themes of the week. Speaking to a Biologist about his research into Ants on Broadway, and then finding out he has been involved in David Attenborough’s Planet Earth; inspired by The Lost Words book, now talking the Lost Sounds with Dr Liz Edwards from Lancaster I was grateful to be able to spend time outside in Scotland thanks to the amazing weather alongside the ever joyous Ingrid Van Der Wacht, whose keynote shared social design innovations and news of the Global Design Week movement from around the world. 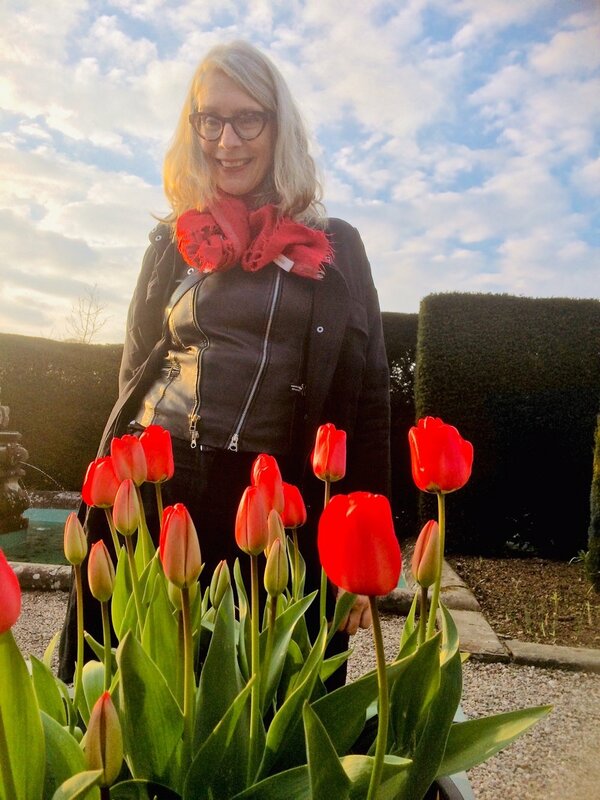 Botanical Gardens in Dundee itself were superb and an evening trip for all the delegates to Glamis Castle was spectactular - the highland cows, the daffodils, the Macbeth walk in the Italian gardens - and rounding off with an invigorating Ceilidh. 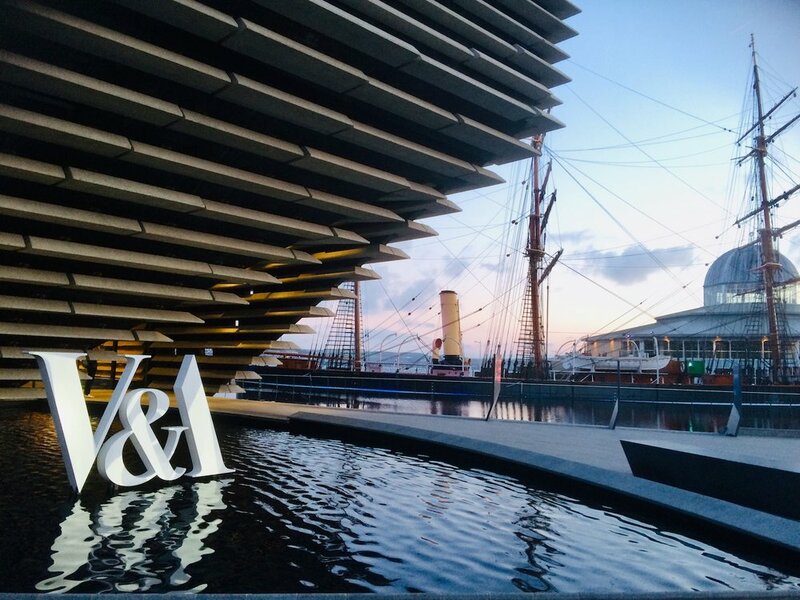 Finally and last but definitely not least, was the impressive new V&A , the first design museum in Scotland, which has already welcomed half a million visitors through its doors in the six months it has been open.